EPA offers training on a range of energy efficiency topics — from the ins and outs of ENERGY STAR's Portfolio Manager to guidance on improving the energy performance of your buildings and plants. And that’s all with no travel, no lost time out of the office, and no cost. We make it easy to get the information you need, when you need it. Explore the categories below and be sure to check back often for new resources! 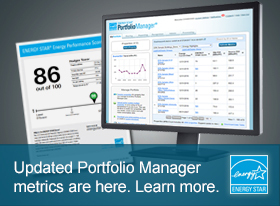 Access how-to guides, videos, and webinars about Portfolio Manager and other topics. Find annotated ENERGY STAR PowerPoint presentations that you can read yourself or deliver to an audience. Browse through an array of energy efficiency topics for further learning. Register for upcoming training or view pre-recorded training. Have a specific Portfolio Manager question? Check out the ENERGY STAR Help Desk.